The 13th Annual GLINTCAP awards proved to be a success for Celtic Marches. Travelling over 3,700 miles, all six ciders returned to the farm as winners. Starling Bank, the leading mobile-only bank recently voted Britain’s Best Bank 2018, has recently announced it is making its business account available to the UK’s 3.4 million sole traders, including 83,000 independent restaurant businesses in the UK. The Stable, the cathedral to cider and gourmet pizza, has launched exciting new menus for spring/summer 2018. National Flexible brought the newest revelation to the snack market – the first ever microwaveable share snack pack. 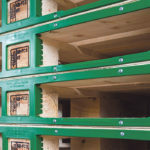 James Jones & Sons Ltd has revealed a new venture it says will dramatically improve the quality, length of life, and environmental benefits of wooden pallets, and significantly reduce their whole life cost. Two world leaders in their respective fields have combined their expertise to create Europe’s first bona fide antimicrobial nitrile gloves. 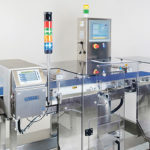 How do you check the accuracy of an inline checkweigher? Automatic Inline Checkweighers have been part of our production lines for decades and it is estimated that in the UK alone there are 4.9 million products checked by inline checkweighers every minute. Food and Drink Matters is extremely proud to present Service and Calibration Solutions (UK) Ltd as our Packaging and Inspection Calibration Company of the Month. Established in 1983, West Yorkshire-based snack company Zeina Foods has come a long way since Managing Director, Safaa Ali, would drive all over Britain delivering his coveted pistachios. Food products such as dairy, baked goods, cereals, beverages and confectionery demand pumps that meet today’s hygiene standards and are able to handle products with care. Air comes in contact with every part of the production process for Food and Beverage Processing, from storage of raw materials to the packaging of goods and everything in between.